Thousands more people, including those suffering from conditions such as autism, could be eligible for blue disabled parking badges. People with hidden disabilities could soon have greater access to blue badges under new plans from Transport Minister Jesse Norman today. The proposals, which would herald the most significant changes since the blue badge was introduced in 1970, would help remove barriers to travel for people with conditions such as dementia and autism, allowing them better access to work, shops and amenities. This could also further help create parity between physical and mental health, and means everyone can take advantage of every opportunity. Currently, about 2.4 million disabled people in England have a blue badge, allowing them to park on roads without charge and normally without time limit. Around 75 per cent of blue badge holders say they would go out less often if they didn’t have one. Sarah Lambert, head of policy at the National Autistic Society, said: "We welcome this government proposal. It could mean that many more autistic people will qualify for a blue badge, which can be a lifeline. "There are an estimated 700,000 autistic people in the UK, and while every person on the autism spectrum is different, for some, not being able to park in a predictable place close to a destination can cause a great deal of anxiety and put their safety at risk. "Some autistic people can experience too much information from the environment around them on public transport, while other autistic people might not be aware of dangers on the road. “However, current blue badge rules mean that all-too-often autistic people don’t qualify. The National Autistic Society has raised this issue with government over recent years and we are pleased to see they have listened to the concerns of autistic people and their families. 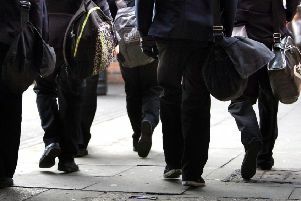 Councils have different interpretations of the existing rules, with some recognising hidden disabilities, but the changes proposed would give a clear and consistent guidelines for the whole of England. The consultation will last eight weeks.